What do you want to accomplish in the New Year? Will reading a book help you reach your goal, keep your resolution, or complete your project? Start the year off right by reading books that support your goals, resolutions, and projects. The books can all support the same resolution — you could read four books on time management, for example. Or, read four books to help with four different projects — one book on spirituality, one book on keeping a budget, one book on photography, and one book on vegetable gardening (on your way to becoming an enlightened, thrifty, photographer with fresh produce). The New Year’s Resolution Reading Challenge is a short event, running to the end of January (about six weeks) as we end 2016 and start 2017. We will have a link-up every Thursday from now through February 2nd to share our book reviews, list posts, and early progress on our 2017 goals. I’m signing up at the Passionate level of four books to support my resolutions. Resolution 1: Understand what’s going on in my country, supported by The Unwinding: An Inner History of the New America, by George Packer. I’ll be joining the read-along of this book at The Hibernator’s Library. Resolution 2: End the disproportionate suspensions of black and brown youth from schools, supported by Pushout: The Criminalization of Black Girls in Schools by Monique W. Morris. Besides illuminating my activism in this area, our in-person book club will discuss this book at our January meeting. Resolution 3: Figure out how non-patriarchal, non-hierarchical groups work, supported by The Empowerment Manual: A Guide for Collaborative Groups by Starhawk. I believe that some of my fellow activists will join me in reading this book so that we work together in ways that serve each other and our cause. Resolution 4: Use pictures to deepen my experiences and improve my communication, supported by Blah, Blah, Blah: What to do When Words Don’t Work by Dan Roam. Every couple of years I go on a kick of wanting to think and communicate more visually. This book was the most helpful last time, but I didn’t finish working through it the way that I wanted. Another support that I have for this goal is the Verbal to Visual online class community. What do you want to accomplish in 2017? What books might help? What books have helped you to achieve resolutions or complete projects in previous years? Join us in the comments with suggestions, questions, and thoughts. If you write a blog post committing to the New Year’s Resolution Reading Challenge, link it up in the list below so we can all see what you’re up to. I admire your choices. I am just feeling for escape or light reading. Maybe by February I will be more serious. 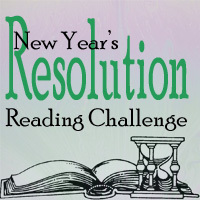 Thank You for New Year’s resolution reading challenge.